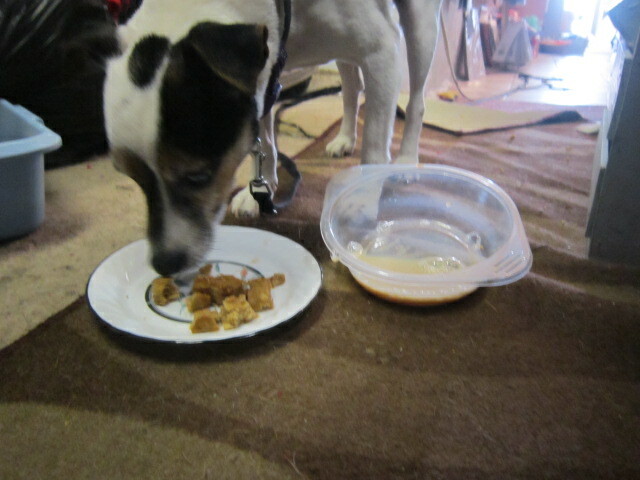 I seem to be discovering loads of new doggie stuff lately – but this is Henry’s favourite so far. 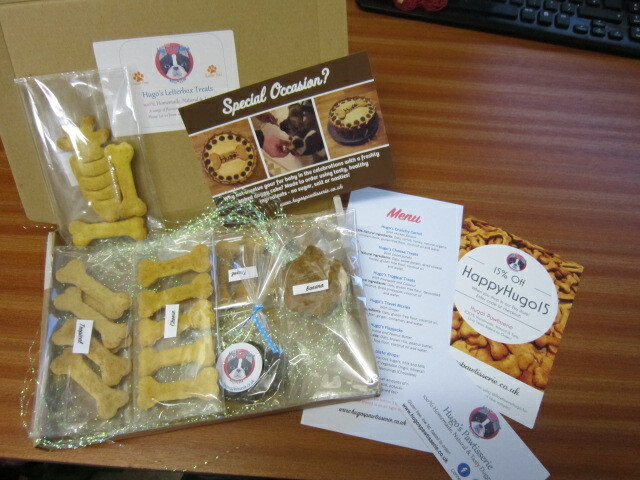 The Pawtisserie bakes just for dogs – no salt – no sugar – no yucky artificial colours or flavours – or those horrid E numbers – and low fat too! The letterbox treat pack has a few of all the different flavours – some chokie drops and a scone so you can get a little taster of all their products. I love all the little personal details too – like the matching packaging – the Menu list – the information sheets – and the discount card for your next purchase. This afternoon Henry is having the scone with his afternoon tea – and I get to keep my butterscotch biscuits all to myself. You are such a lazy bones!!! !